This VPN with a juicy name is a very affordable service that gained popularity after being advertised by The Pirate Bay – not exactly the most legal endorsements, but hey – at least people who need to hide their IPs are recommending the service! FrootVPN promises to keep you anonymous online with a fast a connection so you can enjoy browsing anytime you like! But does it really live up to its promises? Let’s find out. Servers and Locations: That’s a fair few servers you got there! 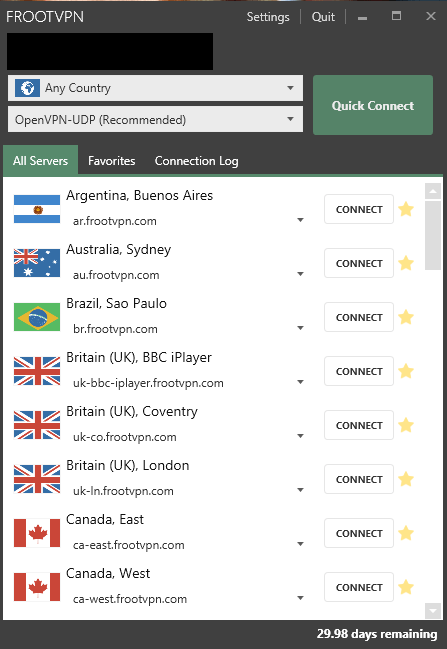 FrootVPN offers 800+ servers in 18 different countries, and each one allows torrenting! The countries vary from region to region, but Froot covers the basic American, European and Asian countries. Torrenting Policy: When life gives you lemons, make lemonade! Optimize a few servers for torrenting and P2P traffic. FrootVPN isn’t one to optimize their servers, but our readers will be happy to learn that they allow torrenting! Seems that Pirate Bay endorsement was well-founded. Still, at this point, you might be looking for VPNs with dedicated servers for torrenting. If that’s the case, check out these torrent-friendly VPNs. $2.99 per month. That’s cheap. When it comes to pricing, there’s no arguing that this VPN is ridiculously cheap with an offer as low as $2.99 per month! FrootVPN allows you to select from three plans when signing up. The month-to-month subscription costs $4.99 per month. 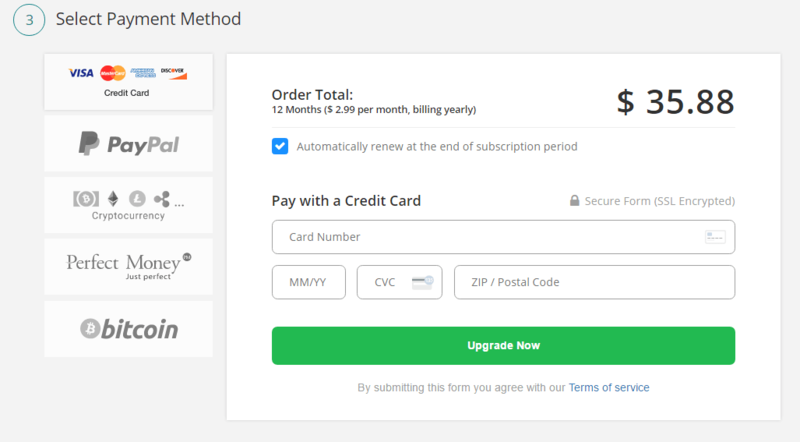 The second option costs $11.97 for three months or $3.99 per month on average. Finally, the third and last plan is the one year plan at $35.88, or $2.99 per month. This plan saves up to 40% from the monthly subscription. If you are willing to take the risk, it’s always financially better to pay for a longer subscription. Even with the varying prices of the plans, the features are all the same. You’ll definitely have no problem paying for this service as they offer a number of methods to pay. FrootVPN accepts credit cards, PayPal, and cryptocurrencies. So how do you sign up for this ridiculously cheap VPN you ask? First, go to their site where you’ll immediately see a red button on the screen that says “Get FrootVPN”. All you have to do is click on the button and follow the registration steps. First, you’d have to choose which plan you want to get. Next, just enter the email address you want to use for signing up. And the last step is choosing how you’d like to pay. When you’re done, you’ll be sent a confirmation email stating that your subscription is now active. You will need to create a username and password from here. After creating a username and password, they’ll send you another email confirming that you’ve successfully created your account and you’re good to log in. Logging Policy: No logs? No logs. 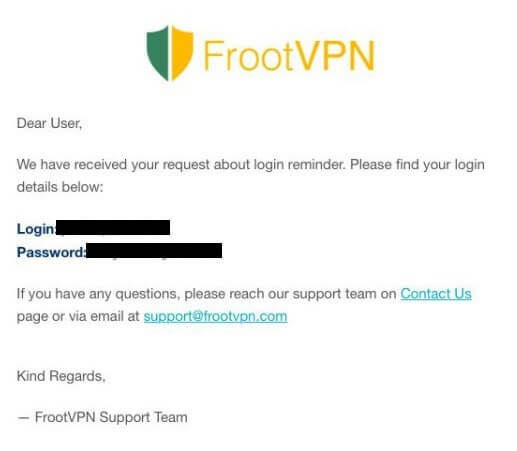 FrootVPN claims that they have a “no log policy” so we went ahead and tried to do a research regarding this. Their website offers a very short and simple explanation, stating that they don’t keep any logs of any kind such as User Info, Timestamps, Bandwidth, IP Address, DNS Queries and Log sessions on any of your activities. Having a Warrant Canary is reassuring as well! Knowing that the VPN you’re using keeps your IP and DNS safe and secure is can put your mind at ease. After running these tests, we successfully found no trace of the IP address we were using on both the EU and US PC which is great news! Protected with AES-256-CBC encryption with an SHA-384 hash and 2048 bit key, FrootVPN takes security seriously. PGP (Pretty Good Privacy) key is also available in their service which provides cryptographic privacy and authentication for data communication. Additionally, they also support TLS1.1 and upwards using PFS (Perfect Forward Secrecy). This VPN really isn’t joking when they say they care about your security online. 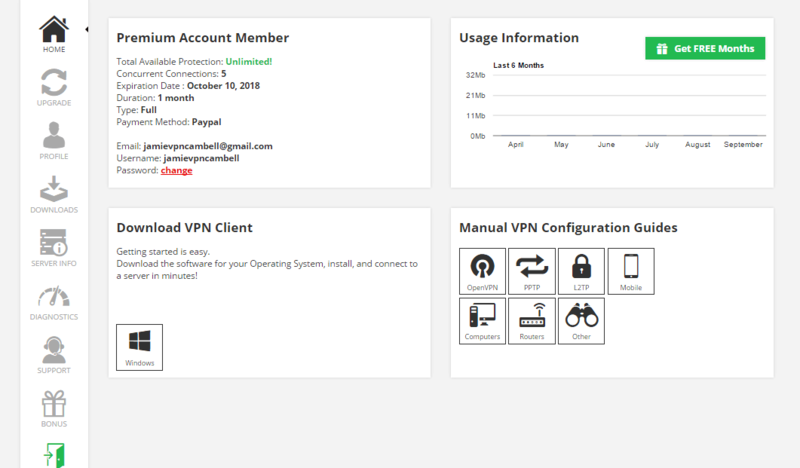 When it comes to Protocols, FrootVPN accommodates the latest connectivity protocols namely OpenVPN, PPTP, and L2TP. Amidst their slow connection, this VPN tries to win our hearts back by providing access to Netflix. Or at least trying to. For those who love Netflix and stumbled upon this review, it’s a great day to rejoice as the claims are true. We simply weren’t able to connect to their servers. Still, it’s best to try it out yourself; often, Netflix access like this can be hit or miss for different users. Don’t want to deal with these odds? Go with these VPNs that can fully unlock Netflix for you. When you go to their site, you’ll see that they offer a 30-day money back guarantee for all their plans. You’d probably think that it’s a safe purchase if you just want to try their VPN since you can get your money back. In other words, you have to make a request to them, and they will review your request. From there, they will decide if your request is good enough for them to give you a refund, which doesn’t really give any guarantee. We tried contacting their support team regarding this, but we’ll talk about that elsewhere. After successfully creating your account, all you have to do is go back to the website and log in with the credentials you’ve created. Once you’ve logged in it’ll automatically lead you to your account’s dashboard, where you can download the VPN. Like we’ve mentioned earlier, this VPN only has a Windows client. You will need to manually set it up further if you’re using a different OS, which you can also see at the opposite side of the screen. Click on the Windows logo and wait for it to finish downloading, and run it the way you would install a normal software. When you’re done installing, the login screen of the program should look like this. Just fill it in with your credentials and log in. The program itself is pretty easy to navigate around in, as all the servers available are already listed, and all you have to do is press connect on your preferred server. It should show on the top the server you’re connecting to and the portal you’re using to connect. You can change the portal anytime too. But when we tried getting help from their customer service, it only led to frustration. At first glance, it seems you can contact their support via the button on the bottom left of the website, which would make you think that they offer live chat support. But it’s actually just a way to leave them a message; like a ticketing system that uses your name, email, and your message. Like we’ve said earlier, we wanted to know more about their refund policy so we messaged them regarding it. They’ll send you an email after a few minutes – sometimes hours – confirming that they’ve received your concern. 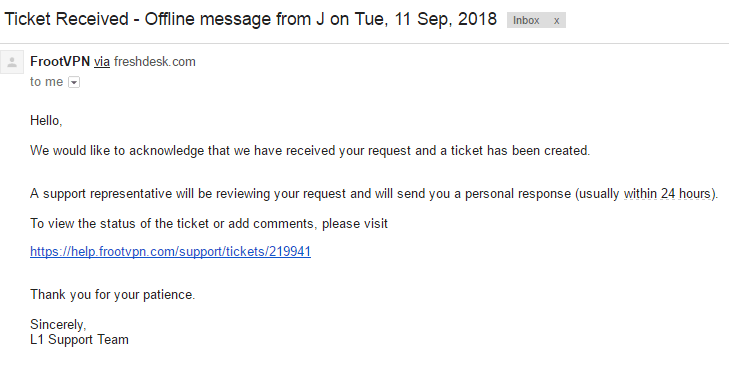 They’ll also give you a link so you can monitor the status of your ticket. But waiting 24 hours just to get a reply even if your question isn’t that complicated? That’s really a big hassle, especially since they advertised that they offer 24/7 customer support, not 24/7 waiting-for-an-answer. FrootVPN does have a Knowledge Base/FAQ page which you can find on their website. 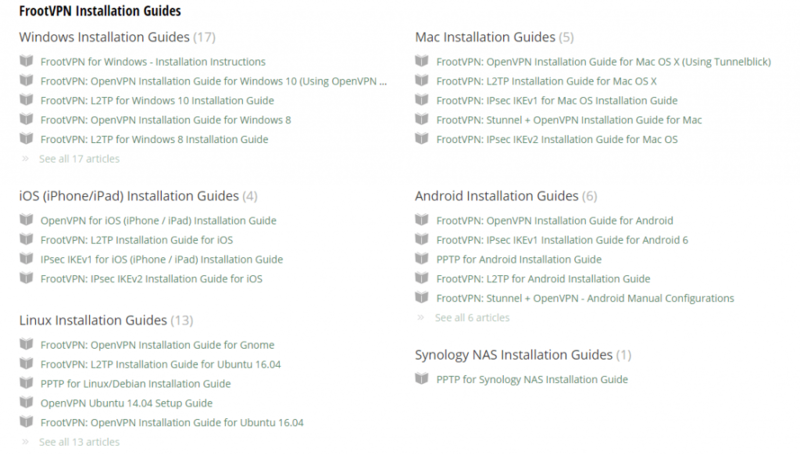 But it’s not much as the only thing you can find on their Knowledge Base is the how-to guides for installing the software on other devices. How to cancel a subscription. What operating systems they support. Where the servers are located. According to the FrootVPN’s website, they also offer high-speed connection. Obviously, we put their servers up to the test. We were very disappointed with the results after getting terribly slow connections. A fast connection translates to a smooth browsing experience, but this one just seems to not be getting it. Perhaps it was a bad day for a speed test? We will revisit this another day. In addition to the slow connection, some of their servers weren’t working either which was incredibly frustrating. When you open their website, you’ll see that they’re compatible with different devices like Mac OS and iOS, Windows, Android, and Linux! But when we signed up for the service and went to download the software, it only shows a Windows download option. What does this mean? Are they lying about being compatible with other devices? It turns out that this VPN only has a Windows client. Their product is compatible with different operating systems… it’s just you have to set them up manually. You would have to know what you’re doing and follow some further instructions. If you ask us, it’s a bit of a hassle compared to other VPNs where you can just click download on whatever OS your device is running on. Unfortunately, even with strong encryption, this VPN does not have a kill switch. The lack of a kill switch is a big turn off for those who are really worried about their security in case something bad goes wrong with their server. FrootVPN (Frootynet AB) is a private VPN company that entered the scene back in 2014. It is owned by Edelino Commerce which also happens to be the group behind different other VPNs. Initially, FrootVPN started as a free service for everyone. With ads on The Pirate Bay, a famous torrenting site, their customer base drastically rose overnight, leading to them their current 300,000 user-base. 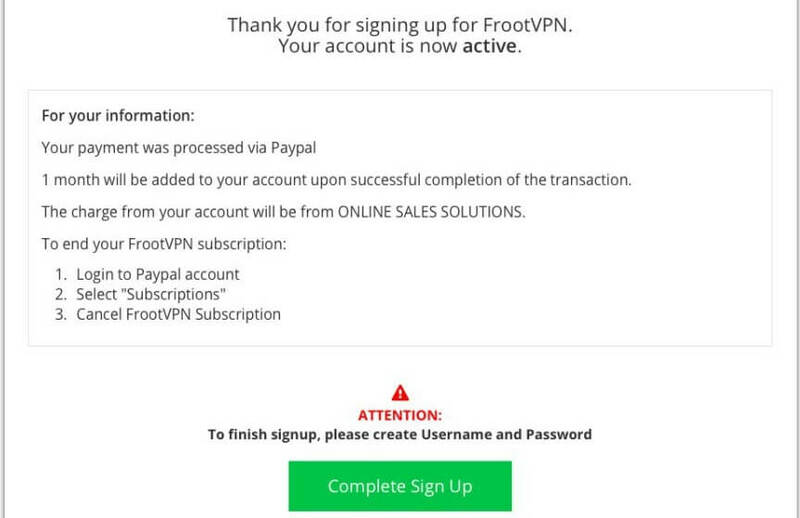 Now, FrootVPN is considered one of the most affordable trustworthy VPNs in the industry. According to Owler, FrootVPN has a revenue of $88.3k, and 6 employees. They also have around 5.8k fans on Facebook and 1.1k followers on Twitter. FrootVPN is a company based in Sweden, meaning they are part of the Fourteen Eyes Alliance. For the uninitiated, the alliance is an agreement between the countries involved to collect, analyze and share intelligence with each other. Would we recommend using FrootVPN? All their plans allow you to have 5 simultaneous connections with unlimited bandwidth speed, strong encryption, torrenting, and access to all their servers. Well, if you’re a security freak, then this VPN isn’t the first choice. But it is one of the more affordable choices, even those on a tight budget could easily afford it. Plus, if you’re big on torrenting and streaming on Netflix, then this VPN could give you just that. But FrootVPN still has a lot of working out to do. Starting from their internet speed, which is super important for a VPN, plus some server unavailability… speed and performance are slightly lacking. The absence of a kill switch also raises a flag since you don’t have a safety net in case something goes wrong with their server. 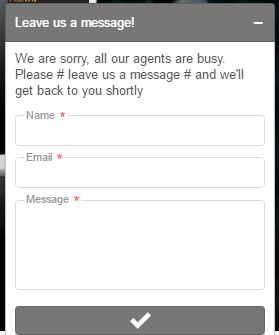 The customer support could also use some remedy by making the response time a bit quicker. Waiting 24 hours for a reply is definitely a hassle for any user, especially if the user is facing a problem they can’t resolve with Google. But Swedes having mediocre support is no surprise, as Mullvad VPN also has a very slow support system. So all in all, there are some improvements to be made by FrootVPN but by no means is it a bad VPN. 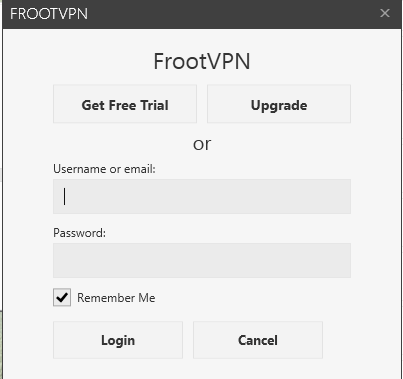 If you are using Windows, FrootVPN is definitely a solid starter VPN. If you’re on any other device, or are an advanced VPN user, we think you’ll prefer a service on our top 10 VPNs list.